The AV-8B_da done in "High Deffinition" by somebody that used to work on the AV-8B. 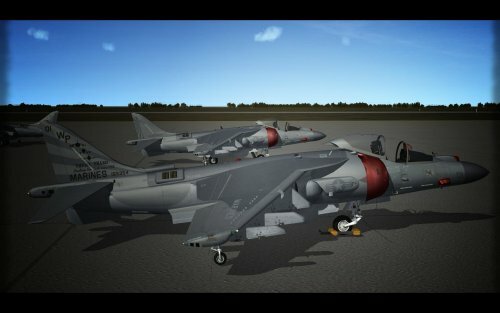 Thanks to Bobrock for the AV-8B_da and his original Templetes. 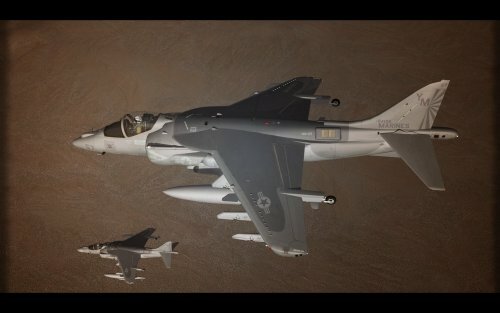 A Update of WhiteBoySamurai's wounderful AV-8B_+10 Skins done with 331KillerBee's Templetes by somebody that worked on the Aircraft. 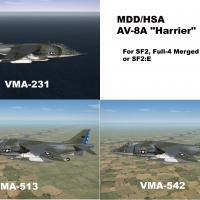 As stated, above, you =MUST= have a Full-4 Merged install, or at the VERY LEAST SF2:E to make use of this mod package, as it references all stock items for the aircraft and cockpit that is ONLY found in SF2E or Full4 Merged game installs. New decals for the serial, service name and BuNums are incuded. Some decals are modified from stock ones. These make use of the full color National Insignia, and not the LoViz as seen after 1980-ish (or thereabouts). As always, READ the enclosed readme for full, detailed instructions. This package has been broken down into the various folders that SF2 needs/requires/should have, to make it a LOT easier to install. 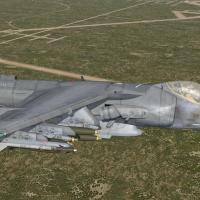 This is a ThirdWire WoE AV-8A Harrier converted for SF2. This package includes 331Killerbee's Enhanced Pack. 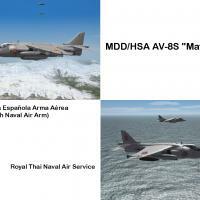 Unpack the archive and drop the AV-8A folder to your MOD /Objects/Aircraft directory. You'll also have to extract original lod files from WoE ObjectData.cat using the CAT extractor. Following lods: AV-8A.LOD, AV-8A_LOD2.LOD,AV-8A_LOD3.LOD,AV-8A_LOD4.LOD & AV-8A_LOD5.LOD once extracted should go to the AV-8A folder. 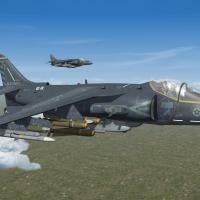 The AV-8A_cockpit.LOD needs placing in AV-8A/Cockpit folder. This is my first conversion so if messed something up, you let me know ;). forum or send me an email. Simply extract contents of AV-8BDA_SF2 folder into your MOD folder. Original readme, and detailed PDF included in the archive. SF2 conversion done by USAFMTL/Dave with small additions by me. Simply extract contents of AV-8Bplus_SF2 folder into your MOD folder.